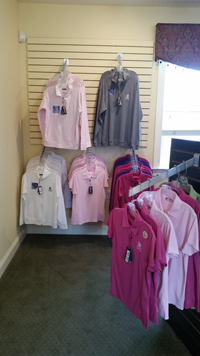 Heritage Creek offers equipment and apparel to compliment your game. 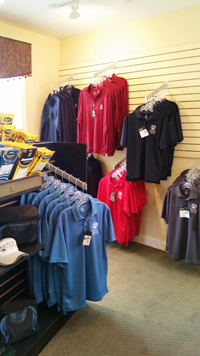 Stop by our Pro Shop before or after your round to browse through our selections. Explore our variety of men’s and women’s logo polos, logo hats and visors as well as coolers, towels, Bridgestone golf balls and gloves. Our friendly staff will help you make start times, rent golf carts, register you and your guests before each round of golf. Stop by. Introduce yourself. You’ll be glad you did.